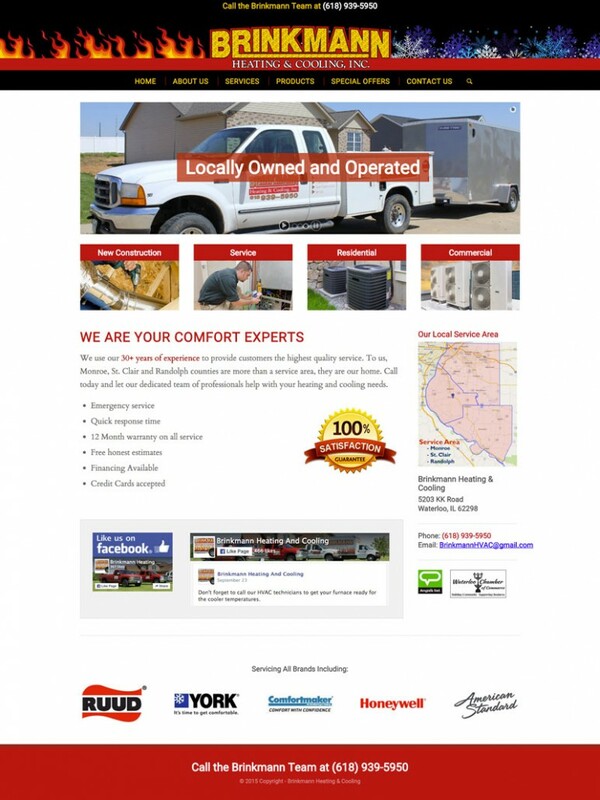 Brinkmann is one for the most trusted HVAC companies in a multi county area however, when out-of-area competitors began positioning themselves as ‘local’, it proved time to enhance their marketing presence. The Brinkmann team provided the necessary background information and the agency team went to work developing a website that represented the knowledge, expertise and care they put in each install and repair call. Building from the ground up, content was developed, SEO generated, images assembled and the new site took shape. With the site up, so are calls and business. Interested in the full case study? Click “Contact” or better yet call. We’d love to share more about this great project (esp. the part about the photo shoot from a John Deere tractor bucket! ).